Often with a cancer diagnosis the caregiver gets overlooked. In my cookbook, Eating Well Through Cancer: Easy Recipes & Tips to Guide you Through Treatment and Cancer Prevention, I included a Caregiver chapter to help encourage not only those going through treatment, but also the cancer patient’s support team – the caregiver! This month we think of Halloween, which brings pumpkins to mind. If cancer treatment has your loved one not feeling well, having a surprise meal will sometimes entice them to eat. A thoughtful snack, casserole, or other healthy dish can bring joy and happiness to a loved one. Eating with a friend or family can also be very helpful. It is no fun to eat alone. 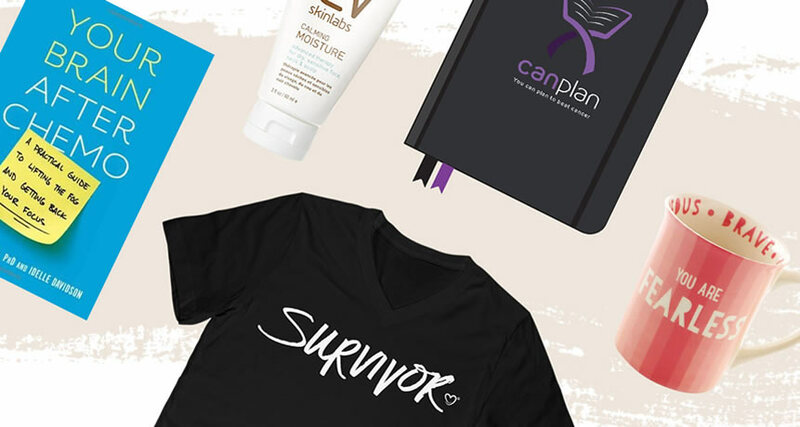 These are tips for things that a caregiver can do for the cancer fighter they're supporting during the Halloween weekend, and also generally around the hectic holidays. Accompany your loved one to the grocery store. Take their shopping list and pick up what they need. Help them to prepare food. Organize friends/or relatives to cook for them and their family. Bring over meals in disposable containers. Take the initiative and run errands for them that they haven't gotten around to yet. Share a meal together -- maybe this one. No tricks! Pumpkins are a nutritional treat and their rich orange color lets you know pumpkins are rich in vitamin A and powerful anti-inflammatory antioxidants. Did you know that one cup of cooked, mashed pumpkin contains more than 200% of the recommended daily intake of vitamin A, which is important for bone health, immune support and vision?! Canned pumpkin also provides 7 grams of weight- maintaining, heart-healthy fiber per cup. 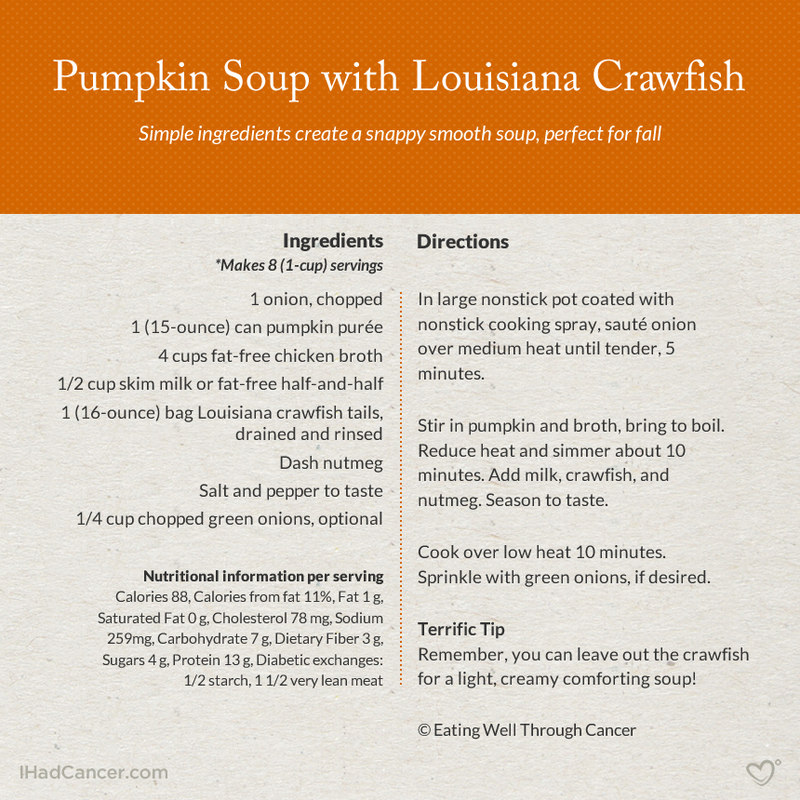 Freezer and diabetic friendly, this pumpkin soup with crawfish from Eating Well Through Cancer is a soothing, satisfying meal that, and is especially festive this time of year. We love our crawfish in Louisiana, but you may omit the crawfish and substitute vegetable broth for a smooth and creamy vegetarian pumpkin soup. What's your favorite Halloween recipe? Share in the comments below or sign up here.